A stunning black sheer pendent chandelier trimmed with spotless glass drops. A shimmering midnight-black drum shade elegantly supports a waterfall of sparkling crystal teardrops. The translucent shade grants an alluring amount of radiance to match the opulent luxury. Mounting hardware included for quick installation. This mini pendant will update your home with its eye-catching design. Featuring a sand black finish and Carmel shade(s), this fixture will accommodate a variety of dicor styles. With its easy installation and low upkeep requirements, this mini pendant will not disappoint. 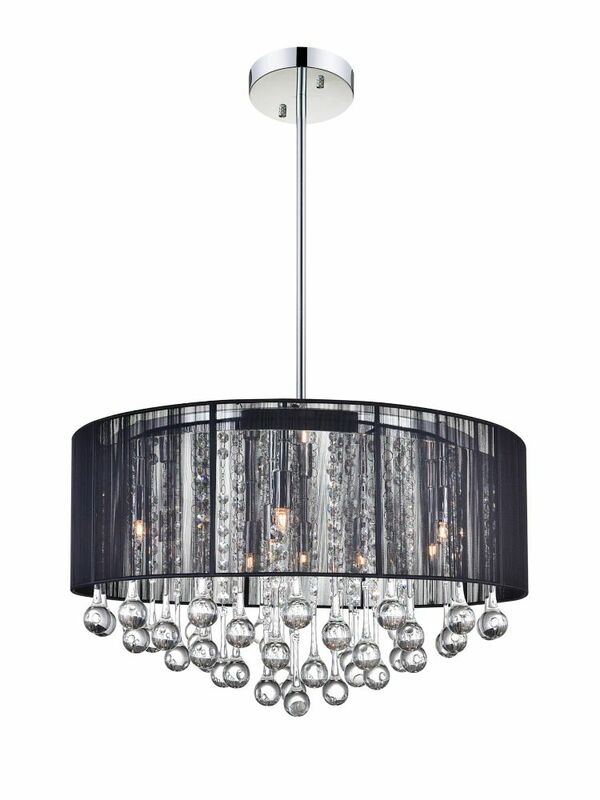 22 Inch Round Pendant With A Black Shade A stunning black sheer pendent chandelier trimmed with spotless glass drops.